Apple iPhone 6S. GSM unlocked to work with any GSM carrier in the world. It will not work with CDMA carriers such as Verizon, Sprint, etc. Generic Box. Trending at $169.95eBay determines this price through a machine learned model of the product's sale prices within the last 90 days. Trending at $334.31eBay determines this price through a machine learned model of the product's sale prices within the last 90 days. Storage Capacity 128GB. This phone is unlocked to work on any GSM carrier. Network Unlocked. Network Technology GSM / EDGE / UMTS / HSPA / DC-HSDPA / FDD-LTE / TD-LTE. Type Smartphone. Family Line Apple iPhone. Trending at $314.33eBay determines this price through a machine learned model of the product's sale prices within the last 90 days. Trending at $399.00eBay determines this price through a machine learned model of the product's sale prices within the last 90 days. Apple iPhone 5s - 16GB - Silver (Verizon/Unlocked) Smartphone Clean ESN (Used). Picture is a fair representation of phones being sold . Trending at $399.95eBay determines this price through a machine learned model of the product's sale prices within the last 90 days. 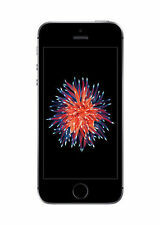 5 out of 5 stars - Apple iPhone SE 128GB - All Colors! GSM & CDMA Unlocked!! Brand New! 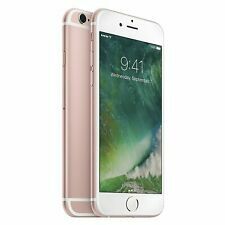 6 product ratings6 product ratings - Apple iPhone SE 128GB - All Colors! GSM & CDMA Unlocked!! Brand New! Trending at $353.33eBay determines this price through a machine learned model of the product's sale prices within the last 90 days. Trending at $175.10eBay determines this price through a machine learned model of the product's sale prices within the last 90 days.